Type blmaterials in the command bar. Click the Physical Materials button ( ) on the Compositions panel. Click thee Browse button ( ) of the Material property of a component in the Mechanical Browser. Physical materials can be created in either the Project or the Library database. New material can be created from scratch or as a copy of existing material. Click on either the In Project or the In Library material list. Click the Add Material button ( ) on the Physical Materials dialog. Right-click and choose Add Material in the context menu. A material named New is added in the selected database. Edit the newly created material. 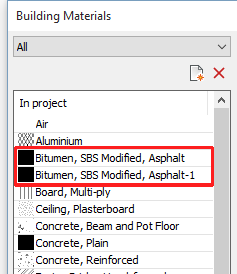 Select a material in either the In Project or the In Library material list. A material named <existing_material>_1 is added in selected database. 3. Edit the newly created material. Identity: Name, Class and description of the material. Appearance: The BIM Materials layers the composition is composed of. 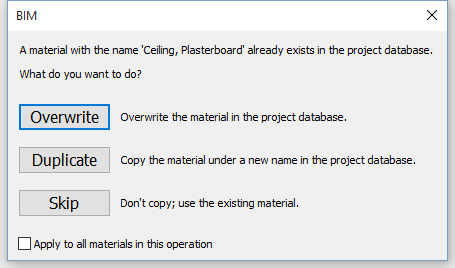 Select the material in either the In Project or the In Library list on the Physical Materials dialog. Type a name for the material. Select a Class from the drop-down list. Click the Hatch Type button, then select the type of the hatch: None,Solid,Linear,Predefined or Custom. Click the Hatch preview, then select the pattern in the Hatch Pattern dialog box. Click the Hatch Pattern Name button, then select the pattern in the list. The final pattern scale in a section is the product of the Scale setting of the physical material and the value of the Hatch Scale property of the section plane entity. 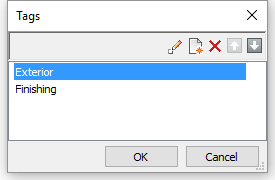 In the Layer field, either type a name or click the arrow button and select a layer in the list. 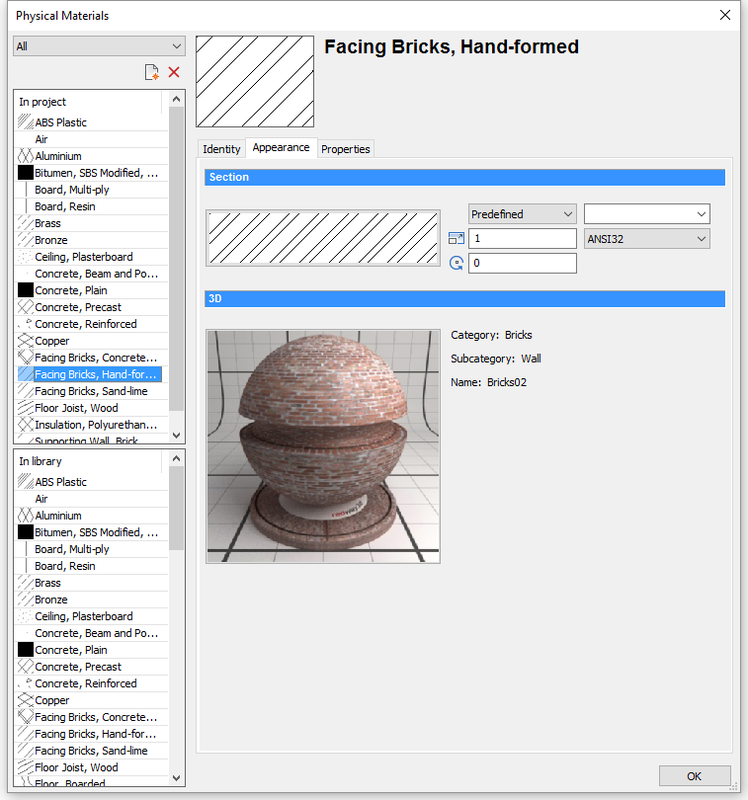 Double click the preview image, then select material in the Render Material dialog box. Edit the Tags field: tags are separated by commas. Click the Browse button ( ) to open the Tags dialog. Click the New Item button ( ) to add a new tag at the bottom of the list. Optional Expand the Information properties and fill out the necessary fields. Optional Expand the Physical properties and edit physical properties of the material. Union Section: Select Yes to remove connection lines in sections between different solids of this material. Choose No to keep the connection lines. Choose Yes or No whether or not to allow a variable thickness. Type a default thickness in the Thickness field. To copy materials between the Project and Library databases. 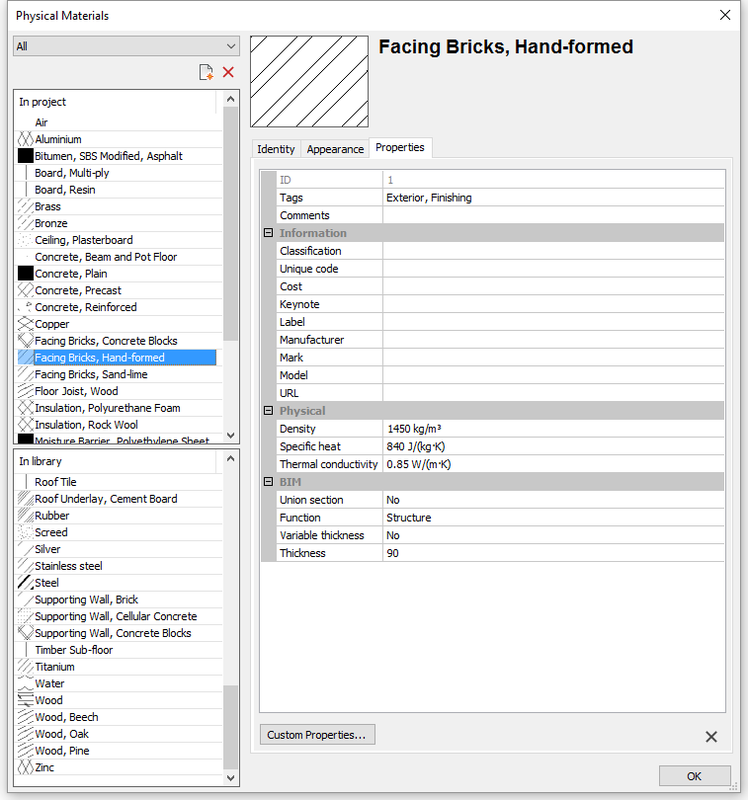 Select the material(s) in the source database. 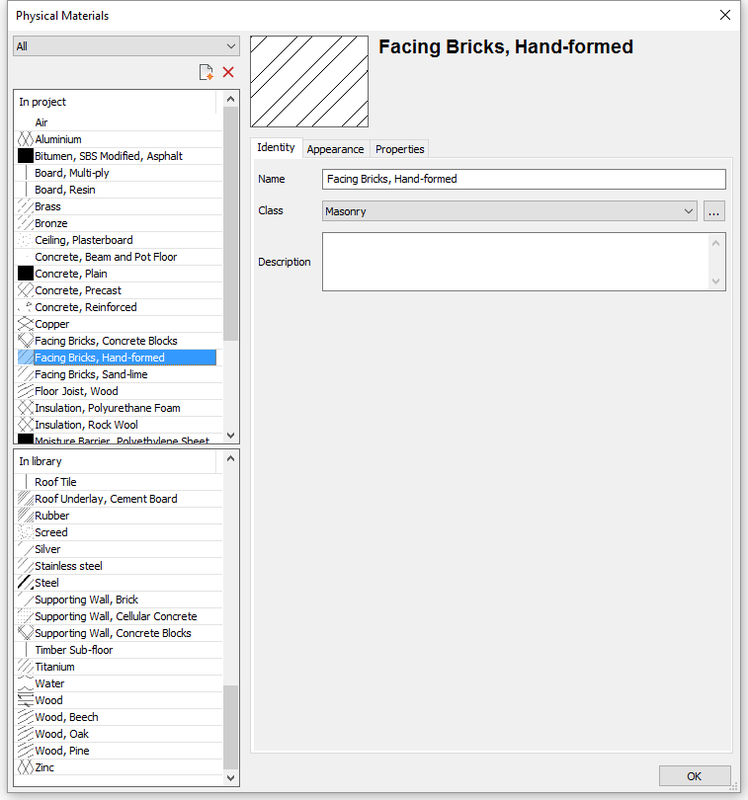 Press and hold the Ctrl-key to select multiple materials. Drag the materials to the target database. Click the appropriate button to either overwrite, duplicate or skip the existing material. If the Apply to all materials in this operation option is checked, the option is applied to all existing materials. 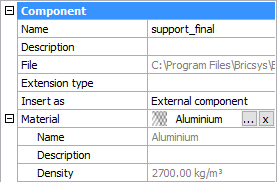 On the Physical Materials dialog box, select the material(s) in the Project or Library database. Materials that are used in a composition or a mechanical component cannot be deleted.